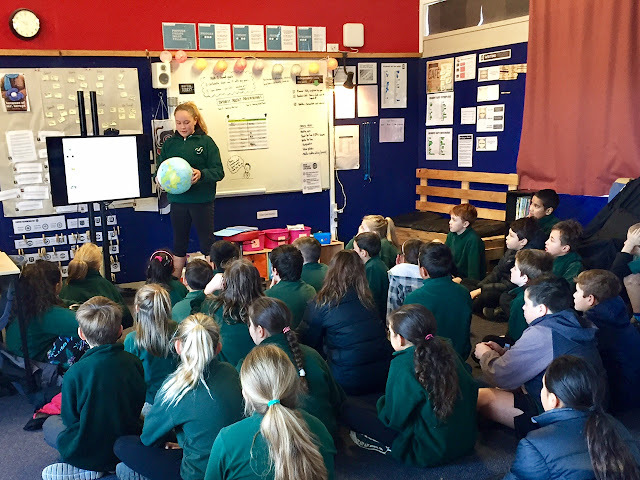 The highlight of our last week of Term 2 was certainly the sharing of our recent IPs. 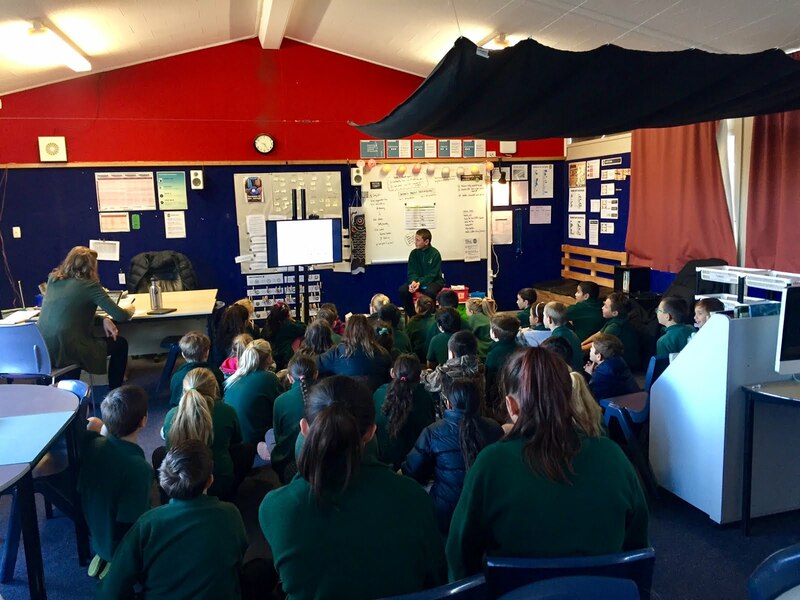 Outside of the CCC Cycle Safe programme that was run for our Year 6s, each of us had chosen a time slot to take the stage in Koru 1 and share what we had learned throughout our IP journey. For some of us this was the first time we had shared a project of our very own in front of as many as 55 people, who then gave constructive feedback about what we shared that included possible improvements that could have been made. This feedback will prove valuable for us when we create goals for future IPs. After sharing, we each went and completed our self-assessment part of our IP evaluation, which Mr K or Mrs Harris had already started for us. We then put together a personal blog post that included our evaluation and presentation, along with our own opinions about how we found sharing with the class. 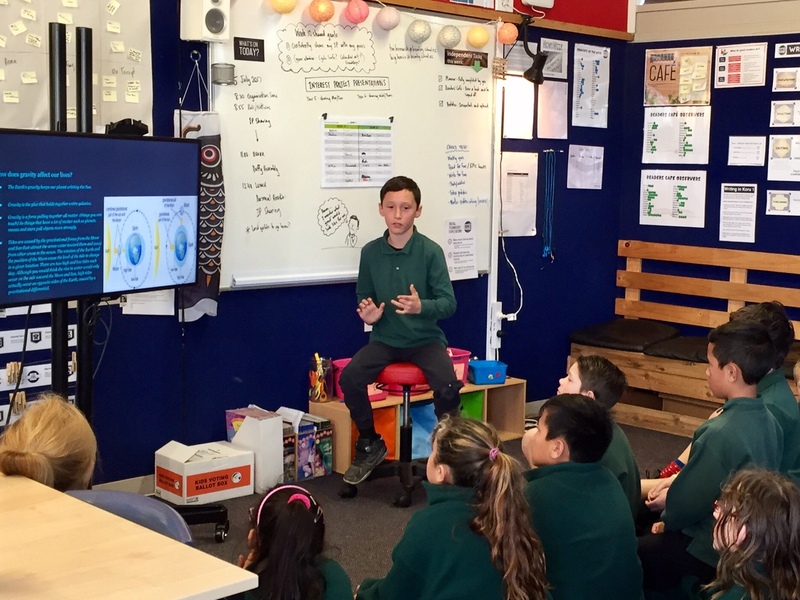 "This week we shared our IP's with the class. We had a list of slots where to put our name on the board. My number that I put my name on is number 12, so then that's when I shared after morning tea. When I heard the teacher say we are sharing on Monday I was scared to share my interest project because I get real stage fright when I shared my family project with the class. That time I was very nervous about sharing so I started reading as fast as I could. But when I finished sharing it I got real good feedback from the class then I felt great about my self. So when I shared my IP with the class I was nervous and confident to share because I knew that I was gonna get real good feedback from the class..."
While I was sharing my IP I thought that everyone was listening to me so that made me feel good. I also thought that this was my best IP because I found a lot more information and I managed my time a lot more than other IPs. Once I finished sharing I felt really proud of myself because a lot of people gave me some thoughtful comments like how they liked the way I laid it out but I could speak a bit louder next time. I also really liked this IP because I learnt some new stuff on google slides..."
We look forward to engaging in more student-driven, teacher-guided projects over the next two terms. Check out the rest of our blogs for more personal reflections on our IP sharing from Term 2.